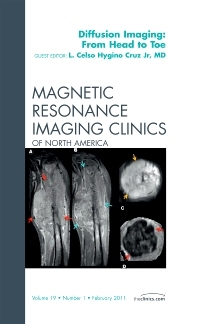 This issue reviews the latest advances and state of knowledge for the use of Diffusion Imaging (DI) in the clinical setting. After covering the basic concepts for DI, topics appear such as DI in central nervous system, head and neck, chest, abdomen, pelvis, breast, and musculoskeletal system. Lastly, a review of the use of DI for monitoring response to cancer treatment is included.